I finished three small projects this week, while I was busily working on my Liberty Geese. Here are two of them! 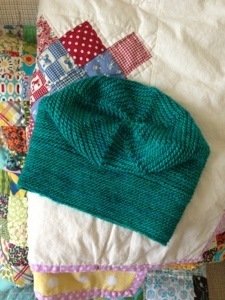 But the finished hat! The color goes great with my purple coat, and I’ve worn it nonstop since I finished it. 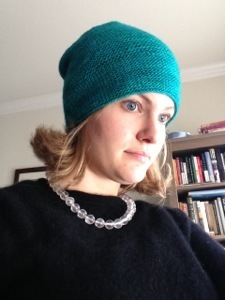 Garter stitch in the round was way worth this finished product. Get the pattern free on Ravelry! 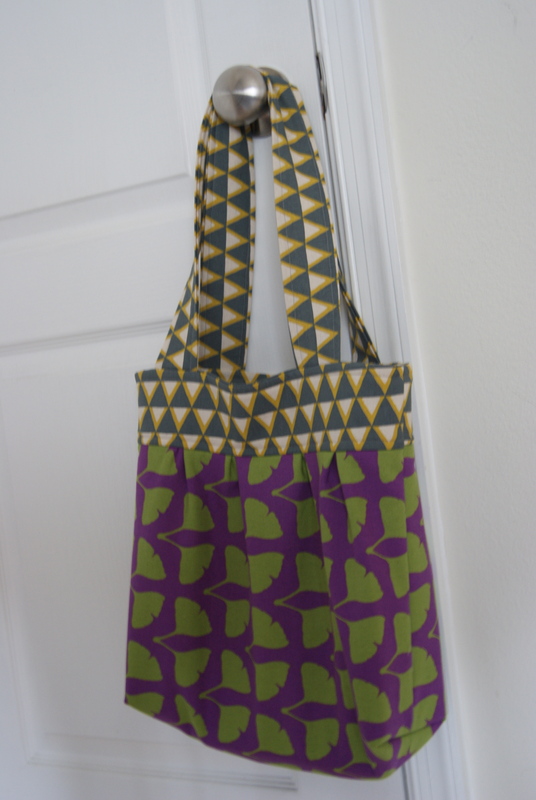 2) Pleated tote: I’ve made one of these before in two different Stamped Prints. I made the pleats too deep, and wonked up the dimensions of the bag. The finished product was still cute enough to gift, so I needed one for myself. A chance to get it right! You can see a peek of the lining, which is Madrona Road Wild Carrot in Straw, which has turned out to be a surprisingly useful and versatile stash fabric. I’m sad that my 1-yd cut is almost gone! Outer fabrics are from Stamped by ELB for Kokka. 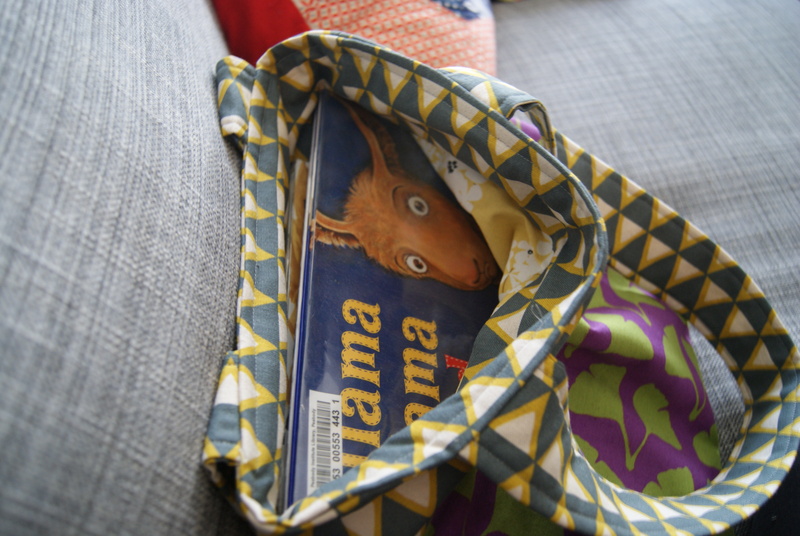 One final note re: this bag pattern: don’t be a lazy dummy like I was the first time I made this bag–BUY the fusible fleece, DON’T sub batting scraps and steam-a-seam, even if you’ve got them already laying around and you’re trying to be thrifty (ahem). Save yourself a panicked call to your sewing machine dealer, and two hours of wrassling with your machine, and just buy the fusible fleece. The end. My third small finish was a little iPhone pocket (in some treasured Charcoal Sketch lined with some blue solid–also, fusible fleece!) for my husband, who tried to buy a fabric iPhone sleeve for $13 from Amazon while I was sitting right next to him. Eyeroll. I don’t have a picture, because he’s tried it and found it acceptable and it’s with him now! Linking up to Finish it Up Friday over at Crazy Mom Quilts, yay! Very cute finishes. Love the fabric on the bag. That is such a cute bag! I have had that pattern bookmarked for a while now… maybe it’s time to give it a go!